 Has all of society gone mad? I just lost all hope for the future of mankind. I am glad they saved him. I had a pet rat in college. They make great pets. Has all of society gone mad? Yes. Humans have limitations and we're seeing them demonstrated every day. It's us. Will we be able to surpass our limitations? Stay tuned, we'll know in a generation or two. Last edited by rseeker; 03-01-19 at 06:38 AM. Ratc, or ratsey. I didn't name her. I inherited her from a friend who dropped out. Had to have her (the rat) put to sleep when she developed breast cancer. There was a guy a few years ago that traped a rat in his suburban\urban garden, the bashed it's skull to kill it. Of course there was an uproar, charges files, and a he went to court. The outcome was that a rat is considered vermin(of course) so no laws were broken. If cooler heads prevailed, all that could have been prevented, and money and time saved. This just in: compassion is America's #1 problem! They were still a bit on the other side of the curve, prior to 1946. I'll be more impressed when people show the same compassion for people as they do for animals. I love animals and have almost always had pets. I have three cats right now, inherited from my mom after she died last year. I'll take care of 'em until they or I die, whichever comes first. But when I have to scoop up their offal from the litter box, and their barfed up half-eaten food and hairballs almost every day, I wonder how many people would do the same for each other. How many of us would take in a sentient but barely communicative human being, house, feed and take care of said human's needs, and allow said human to crawl into our laps or beds or on our desks next to the computer and pester us while we're working, or to put up with said human engaging randomly in bizarre behaviors and noises. Sure, parents volunteer for that with kids. But we tend to have expectations that such behaviors will end with something we think of as "maturation". Fact is, some humans never reach that stage of maturation. Or they do, but then decline again with age or mental illness. I'm convinced that people who claim compassion for animals do so mostly because it makes them feel good about themselves, not because they're inherently compassionate. They need the brain chemical feedback benefits to enjoy the sensation of "compassion" and would stop caring about animals if that brain chemical feedback suddenly stopped. It isn't a rational choice based on ethics, it's an emotional reaction based on human addiction to feelgood chemicals. Fleas on rats do transmit plague, but ebola and West Nile virus? Back to Virology 101. I should have just said the world. the worst kind of fashion faux pas. About six months ago, I was hiking and found an orphan baby mouse. Running in circles, screaming, eyes hadn't opened yet so she kept running into rocks sand then getting even more panicked. The noise had attracted a raven, who was waiting for me to leave so it could enjoy a snack. I just didn't have the heart do to the right thing and let nature take its course, so I picked the mouse up and set her back down in the one place that looked like it could be a mouse den. Wandered in, wandered back out, still screaming. I tried to walk away and got about ten feet, but I felt compelled. I expected to get bit picking a wild mouse up, she licked the sweat from my palm and went to sleep. Now she lives in a three story cage on my book shelf with no predators and delicious food. Silly. I would have solved the problem like Solomon, by chopping it in half. (as quickly and cleanly as reasonably possible to avoid suffering). Or maybe a quick death of crushing the skull. 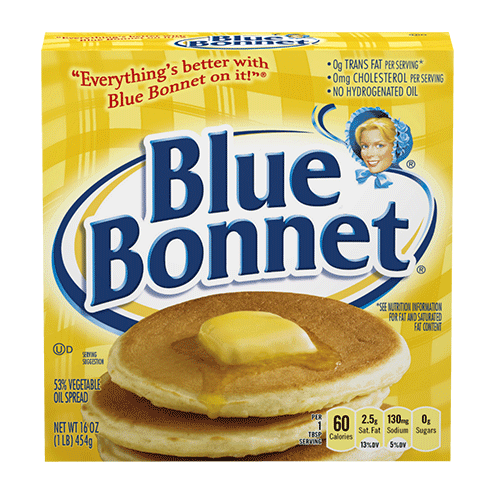 "Everything's better with Blue Bonnet it on it." He likes making up stuff. I'm impressed when humans show the same compassion for other animals that they show for human animals. Some people are quite callous, even evil, to both humans and non-human animals alike. I see no reason to grant my compassion to others based simply on the fact that they may be the same species as me. To do so would be the definition of speciesism. I believe (and I think most people agree) that humans are more intrinsically valuable than animals. Historically speaking, that's why 'human dignity' is a term, and 'animal dignity' is not. Even people who support euthanasia would I'm pretty sure think a lot longer and harder about the decision to put grandma to sleep, than Fido. Or Fatatouille. I dunno, I have had both pet deaths, and human deaths, and both can be pretty much equally traumatic, depending on how close you were to the person/animal. However, I will freely admit that I feel much less traumatized by the steer that was killed to make the carne asada taco I ate for lunch yesterday. Maybe THAT should change, and we should go back to doing like the Native Americans sometimes did (at least in the movies) and apologize to the animal before killing it.